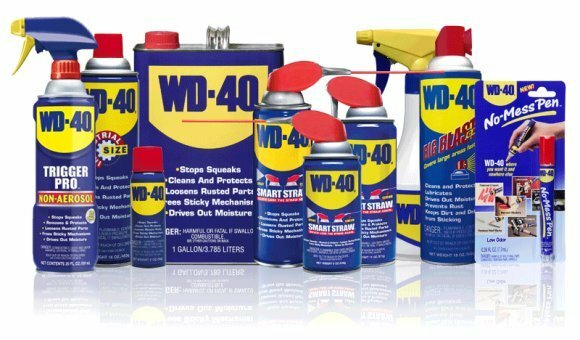 The WD40 products are releasing multi purpose high performance with a super reasonable price, essential in the workshop and home! WD-40 means moisture hunter (Water Displacement), 40th attempt. This is the name lying on the laboratory notebook by the chemist who developed WD-40 in 1953. The chemist, Norm Larsen, while trying to create a formula to protect from corrosion. Larsen's tenacity paid since passed his 40th test his bet. WD-40 Company is a company distributing high performance products at the best price. Our brands are usually present under sinks, in garages and in toolboxes, and worldwide. With 3 divisions worldwide, encompassing its subsidiaries, WD-40 Company markets its products in 187 countries on all continents. WD-40 Company has long been engaged in the protection of the environment. Through the use of our products that extend the life of vehicles, machinery and equipment, we are helping to save natural resources and reduce the emission of heavy waste. Our products are made ​​exclusively of recyclable materials. In line with technological developments, we continue to explore new practices and justify our long-term commitment to the environment.